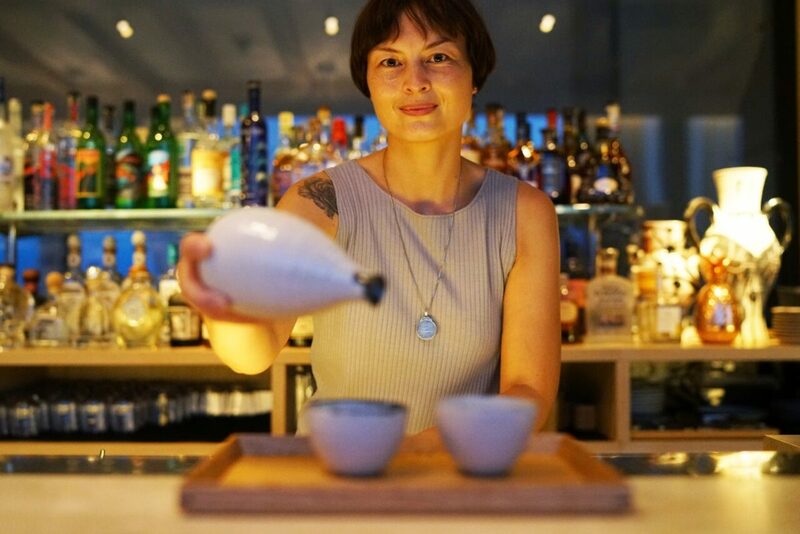 Susie Villarco pouring artisinal sake at The EDITION hotel in Barcelona, Spain. 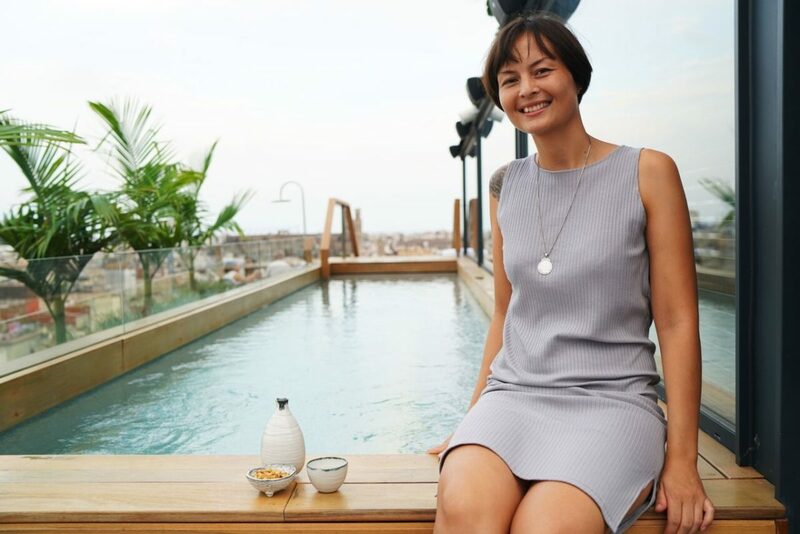 Sussie Villarico has a very unique professional path—she started out making ice cream, went to culinary school in 2010, secured a job as a waiter at one of the famed Adría brothers’ Barcelona restaurants even though she didn’t speak Spanish, then later studied to become an official expert on sake—Japanese rice wine—at the WSET School in London. Villarico notes, however, that it can be quite a challenge to find quality sake outside of Japan, and for that reason, she and her partner Sebastian decided to start importing and distributing sake in Spain in 2016. Working with a unique selection of artisanal sake from small sake breweries around Japan, the pair serves the sake at their private venue La Nave de Sake, a combined sake-showroom and test-kitchen. 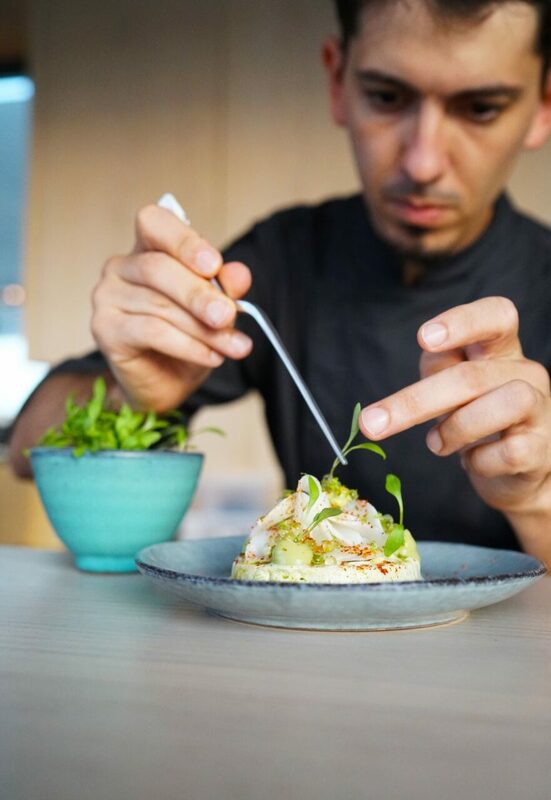 Together with her romantic and culinary partner Sebastian Mazzola, Villarico is leaving a big impression on Barcelona’s innovative food and drink scene today. The pair have been putting on pop-ups that explore Villarico’s sake expertise and Mazzola’s avant-garde cuisine in locations as far ranging as Lima, Peru; Kobe, Japan; and Moscow, Russia. The couple’s most recent project is three different restaurants at Barcelona’s brand-new EDITION hotel in the artsy neighborhood El Born. 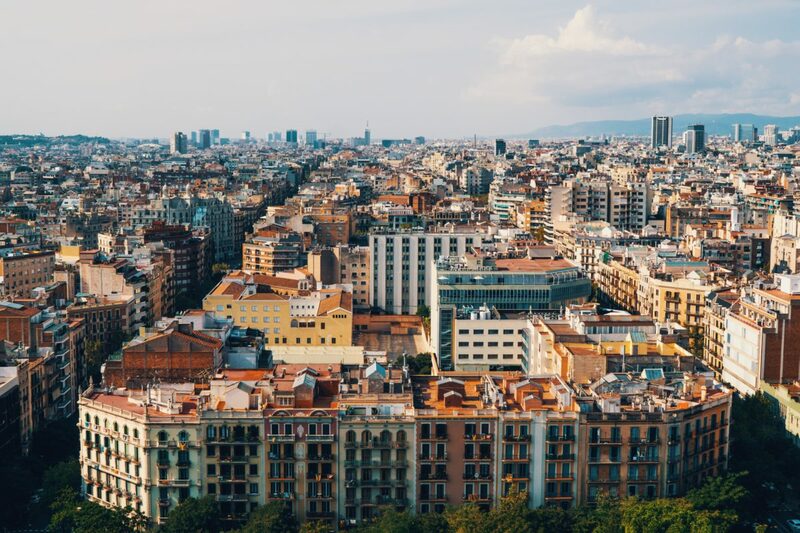 Here, Villarico, who has called Barcelona home since 2011, gives us her favorite things about her adopted city. Barcelona is cosmopolitan and sunny! It’s very relaxed and improvised and loves to celebrate. Each neighborhood has an annual celebration called “Festa Major” and there is almost always a celebration going on somewhere. Barcelona is also a motorbike city. Almost everyone has a motorbike or scooter or owns a helmet to ride with their partner or friends. There is almost always a celebration going on somewhere. The city has everything: a sunny, Mediterranean climate, long beaches and nearby mountains for hiking or skiing in winter time, urban parks, great restaurants, bars and nightlife, lots of culture, architecture, art, music festivals and lovely gems for shopping. How do you begin your day? Do you have a morning routine? On weekends, I often pick up croissants from Hofmann Patisserie They are my favorite croissants in town. Both the savory ones with ham and cheese, but also the sweet ones filled with mascarpone cream. I don’t drink much coffee, but when I do I visit Nømad Coffee, Satan’s Coffee Corner or the newly opened Three Marks Coffee just down the street from where I live. Aerial view of Barcelona. Photo via Unsplash. Enjoying sake atop The EDITION hotel. Villarco's partner, Sebastian Mazzola, preparing a sake-paired dish. What’s the most unique thing about Barcelona’s food scene? Barcelona is full of city markets—each neighborhood has its own local market. I love riding the back of Sebastian’s scooter and cruising the city to get our shopping done. My favorite markets are Mercado de Santa Caterina, Mercat del Ninot, La Boqueria and the newly renovated Mercat de Sant Antoni. Barcelona is a city of late-night-dining. Barcelona has an impressive amount of restaurants and a very diverse variety of different cuisines. There are great options in every price range, so it’s easy to find an excuse for not cooking at home. Barcelona is a city of late-night-dining. In most restaurants, you can make a reservation at 10:30pm or even 11pm. Do you have a favorite place to take guests from out of town for dinner? There are so many places to dine in Barcelona and new restaurants opening all the time. My favorites change constantly. For a fine-dining and ultimate molecular gastronomic experience I recommend DISFRUTAR. For a casual dinner, I go to Capet Restaurant in el Góthic or Bar Brutal in El Born. For an authentic tapas experience, I go to Barceloneta and visit Bar Jai-Ca, Vaso de Oro or La Cova Fumada. Where do you go shopping in Barcelona? The Spanish brand Camper (founded in Mallorca) is one of my favorite picks when it comes to comfortable footwear. For key pieces, I turn to Capsule in El Born. They have great things in organic fabric from the Danish designer By Signe. Just around the corner from Capsule, you find another great gem, Ozz Barcelona, a concept store featuring clothes from local and Barcelona-based designers as well as art pieces. Cadauqés is one of my favorite places. 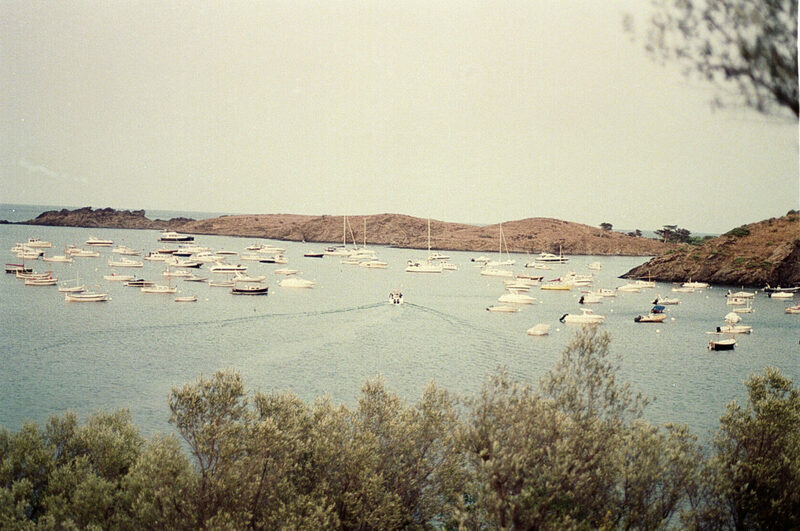 It’s a small coastal town located in the very north of Costa Brava a good two hour’s drive from Barcelona. The stunning clear blue waters make the most beautiful scenery with the white village houses and the mountains in the back. There are lots of hidden beaches (called calas) around. No wonder Salvador Dalí had his house there. 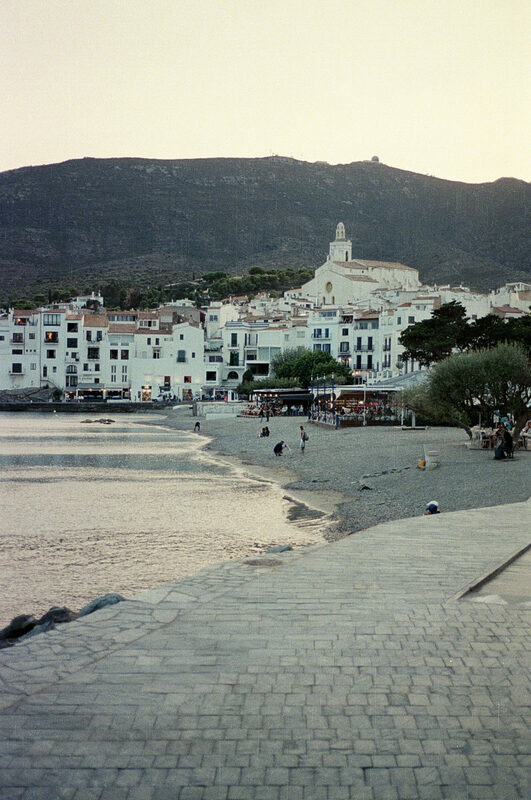 A view of Cadaqués and the surrounding hills. The chapel stands tall, watching over the small town. Photo by Dylan Simel. The view from Dalí’s courtyard. Photo by Dylan Simel. What’s one thing or experience that you can only find in Barcelona? Castellers is one of Catalonia’s most famous traditions. They are human towers made by lifting people and building levels that reach incredible heights. It’s done with absolutely no mechanical help and has been done for more than 200 years. You can experience this during the many celebrations around town. Cadauqés is one of my favorite places. Park Güell, La Sagrada Familia and the Picasso Museum. Where would you recommend a friend to stay in the city? Brummel Apartments, Casa Bonay or The Barcelona EDITION. Late breakfast and late lunch on Sundays. Followed by dancing at some of the fun outdoor electronic music parties happening on Sundays in Barcelona, like Mobilee Rooftop, Brunch in the Park (during summer) and Brunch in the City (during winter).